With its numerous faces, the Australian Cruise will leave you with too many unforgettable moments to count. This journey, with its successful combination of metropolitan flair and unbelievable natural marvels, has a fascination all of its own. Along with the mainland mass, the "fifth continent" also includes the islands of Tasmania and New Guinea. Bounded to the north by the Timor and Arafura seas, to the east by the Tasman Sea, and to the south and west by the Indian Ocean, Australia straddles several climatic zones. However, generally speaking, the Australian spring and autumn (April - September) are well suited to an Australian Cruise. Take an Australian Cruise and discover the wonders of the metropolis of Sydney. If you are visiting Sydney, then a trip to the Opera House is a must. Or you can visit the world&apos;s biggest aquarium in Darling Harbour. It&apos;s then on to Phillip Island. 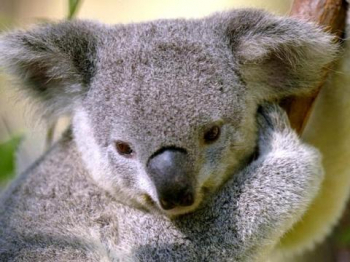 Watch koalas in the Koala Conservation Centre or allow yourself to be charmed by the famous Penguin Parade. Some Australian cruises will take you to Australia&apos;s second city, Melbourne. The Rialto Tower will give you wonderful views of the city. The Royal Botanical Garden is ideal for a retreat from the hurly-burly of the big city. Brisbane, with its Queensland Cultural Centre, is a wonderful starting point for lovers of art and culture. A stroll down the Fortitude Valley shopping street will set the pulses of shopping lovers racing. Another destination on the Australian Cruise is the city of Cairns. Here you can enjoy the fascinating beauty of the world-famous Great Barrier Reef or visit the Aboriginal Cultural Centre. The so-called Bridge to Asia, Darwin, will captivate you with its two national parks of Kakadu und Litchfield, which lie outside the city. You also shouldn&apos;t miss an opportunity to visit the Indo Pacific Marine aquarium. Experience unforgettable moments on the Australian Cruise. A trip with something for everyone. Whether you&apos;re a nature lover, an adventurer, or just looking for relaxation— the Australian Cruise is everything you&apos;ve been looking for and will enrich your life with its incomparable moments.